As a homebrewer and beer judge, brewers often ask me how they can improve their chances for winning in a competition. 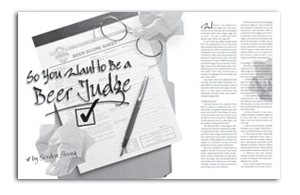 After I give them the tongue-in-cheek answer—“brew better beer”—I usually start talking about how judges assess beer and what separates an average entry from one that medals. A beer can be compared to the performance of a symphony orchestra. We are the conductor, the recipe is the sheet music, and the instruments are the ingredients with which we work. 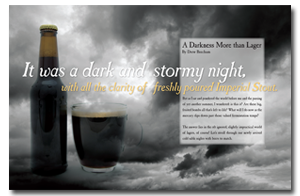 A beer can be brewed rigorously to a recipe just like music can be played mechanically to the score. The difference is in the performance. It might sound trite, but judging beer is a lot more work than it sounds, particularly if you want to do a good job at it. When homebrewers enter competitions, they’re hoping for an honest evaluation of their beer and practical suggestions for improvement (well, that plus some prizes). Recent hop shortages are debasing your homebrews and putting a dent in your wallet, so why not grow your own? Hops are easy to grow, and their requirements are simple, including plenty of sunshine, well-draining soil, and yearly additions of compost. 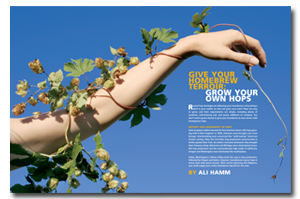 You don’t need a green thumb to give your homebrew its own terroir with homegrown hops. Late hopping is the addition of hops during the latter part of the boil. It is an excellent method for creating hop aroma and flavor in your beer. 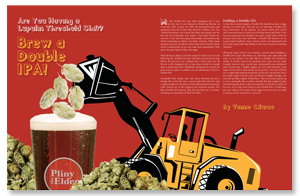 By Michael L. Hall, Ph.D.
One of the most important contributions of hops to beer is bitterness. 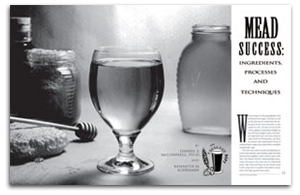 Bitterness provides a counterpart to the sweetness of the malt to create a balanced beer. If you’ve ever made an IPA that turned out more like a bock, you know that making an accurate estimate of the amount of bitterness imparted by the hops is paramount to success in brewing. Chile! In beer? Nothing strikes more fear into the hearts of beer judges than the words chile beer. 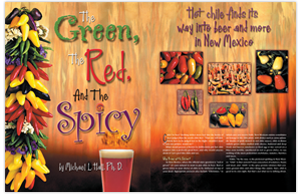 “That one will definitely have to be judged last in the flight—wouldn’t want to ruin our palates, would we?” What would possess a brewer to deliberately put hot chile peppers into a perfectly good beer, and why would anyone drink it? Let’s peel this chile and see. 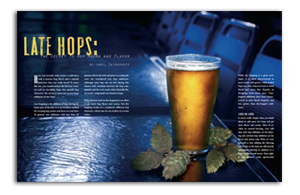 Of course, we are brewing herb beer already, but we tend to forget that hops are an herb like any other. We love ’em, but why should they be the only thing we use to season beer? In our search for great beer, why not use everything that’s available to us? When Peter agreed to join me on this road trip, I doubt he realized it would include outrunning tornadoes. 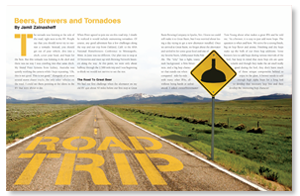 Of course, any good adventure has a few challenges along the way and our trip from Oakland, Calif. to the AHA National Homebrewers Conference in Minneapolis, Minn. in June was no different. Our plan was to stop at 16 breweries and meet up with Brewing Network listeners along the way. Some people think she’s nuts. 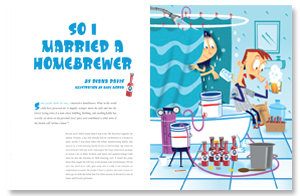 She married a homebrewer. What in the world could have possessed her to happily scamper down the aisle and into the forever loving arms of a man whose bubbling, blobbing, odd-smelling hobby has severely cut down on her personal closet space and contributed to what some of her friends call “aroma couture”? 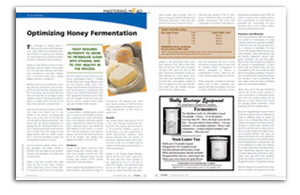 The challenge of making mead is achieving the perfect honey fermentation—clean, with zero or absolutely minimal off flavors. It optimizes the character of a spectacular honey, yielding aromatics and flavor reflecting its finest properties. 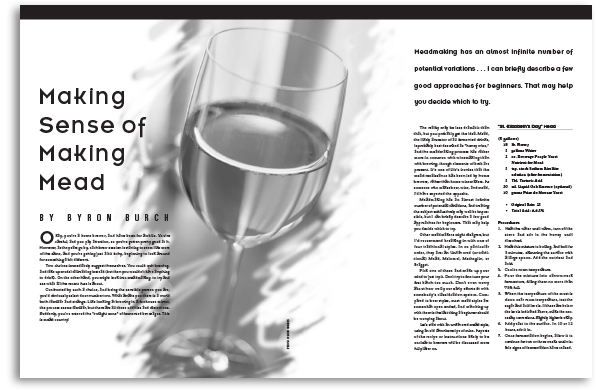 The time has come to push mead making into the same analytic and scientific realm that beer brewers have applied to their craft for quite some time. We believe that by understanding honey, water and yeast in the same way we understand yeast, malt, water and hops, we can elevate mead to the same level of quality and public acceptance that high-quality beers enjoy. Making honey wine is a great way to take a break from the usual brew day, while still partaking in a hobby that produces something quaffable. Champion mead maker Byron Burch shows us the mead-making ropes. Delicious results awair! 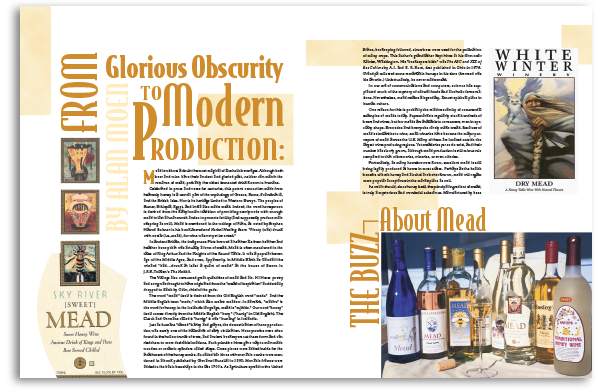 Alan Moen sleuths the world of mead both modern and medieval. When you know where to look, the stuff is everywhere! 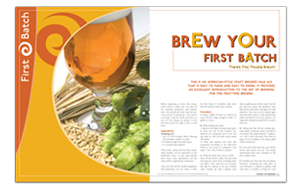 Access and download a free copy of Zymurgy: An Introduction to Homebrewing, the American Homebrewers Association’s (AHA) guide for beginning homebrewers. 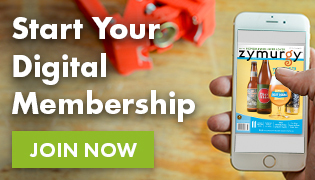 See Zymurgy: An Introduction to Homebrewing. 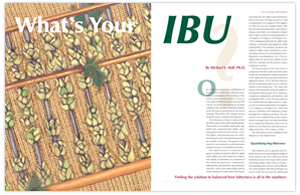 Are you having a lupulin threshold shift? It might be time to brew a Double IPA! 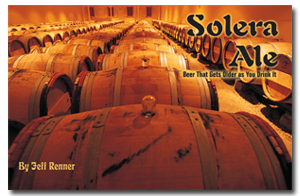 The brewer of the 2009 Best Beer in America offers his tips and insights. Romantics may like to imagine the glory days of farmhouse brewing as a time when independent brewer-farmers produced wonderful, rustic ales for their own consumption. In reality, these homemade ales were extremely varied in taste and quality. 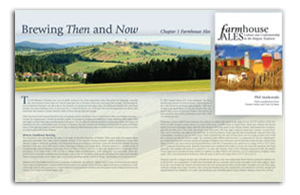 As the name suggests, “farmhouse ales” were literally that, limited to the farms where they were brewed and not sold to a local market. 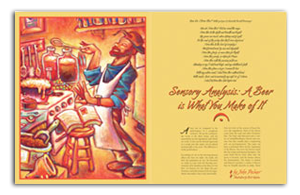 American homebrewing, even with its adventurous repertoire of recipes and techniques, barely skims the surface of brewing as it has been practiced through the ages. In ancient Sumeria, as far back as brewing history goes, brewer were already making black beer, red beer, fresh beer, filtered beer, emmer (a type of wheat) beer, premium beer and light beer. The ancients had a whole cupboard full of herbs and spices, although which ones were used in beer is a bit fuzzy. Cool fermented, cold aged lager beers, no doubt dark as were most beers historically, began to spread from their Bavarian origins to the rest of Europe during the first half of the nineteenth century. 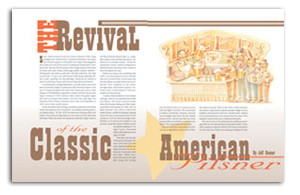 John Wagner of Philadelphia is generally credited with brewing the first lager in America in 1840. The first clear, pale lager was brewed in Plzen (Pilsen), Bohemia. 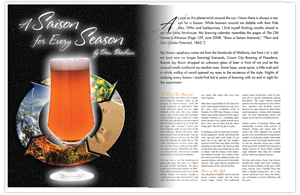 As sure as this planet twirls around the sun, I know there is always a reason for a Saison. While brewers around me dabble with their Pale Ales, DIPAs and barleywines, I find myself thinking months ahead to my next funky farmhouse. My brewing calendar resembles the pages of The Old Farmer’s Almanac. In the solera system of the Jerez region of Spain, sherry is aged in a series of casks of increasing age.When a portion of the oldest cask is removed for sale, it is filled from the next oldest cask, which is in turn replenished from younger casks, and so on until new wine is added to the youngest. It’s called the Buckapound Brewery because for a long time this was the price of scrap stainless. Now the price is $1.25, but that just doesn’t have the same ring. are at the peak of flavor and need to be cold-stored until you get a chance to enjoy them or show them off. Tony Profera of Charlotte, NC won the Great Gator Tail Brewing Gadget Extravaganza at the AHA’s National Homebrewers Conference in Orlando in 2007. 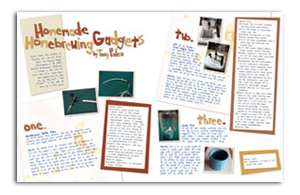 Here he shares some of his simple homemade gadgets—sure to make you say “Why didn’t I think of that?”—to help make the brew day a little easier. Fort Worth, Texas is a wonderful place to live but the weather here can be a little unfriendly at times. 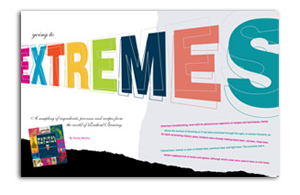 My fellow Cowtown Cappers and I have battled windstorms, duststorms, thunderstorms, hailstorms, and even the occasional killer tornado. 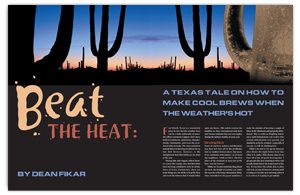 The most consistent natural threat to brewing excellence for us Sun Belt brewers, however, is the omnipresent heat that bathes us for most of the year. There’s just something about fresh draft beer. It’s not that the chore of bottling is such a big deal; after all, bottles are convenient to give to friends or send to competitions. It’s great to be able to come home and grab a bottle of your own homebrew, but there’s something even better about drawing a glass fresh from a keg. Have you ever wondered just how much wallop your favorite homemade beverage packs, alcoholwise and caloriewise? Have you ever heard your brewing buddies talk about apparent extract and real attenuation and wondered what all the hubbub was about? Itʼs not as hard to understand as you might think. 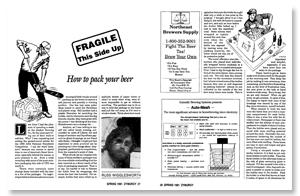 An experienced unpacker recalls his experiences and offers insight into what to include and what not to include when packing your homebrew to ship to competitions. 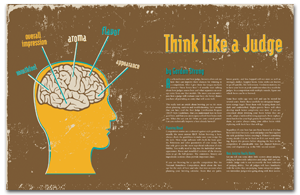 Great advice for all entrants to the National Homebrew Competition (NHC). 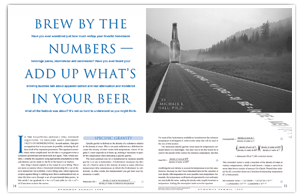 Does the thought of calculating a grain bill for all-grain brewing make your head spin? How much grain should you use? Don’t different grains have different yields? How do you decide? For years, I’ve proclaimed loudly from atop my yeast box, “As goes your yeast, so goes your beer!” With lagers, this literally stands as a doubly truthful testament. 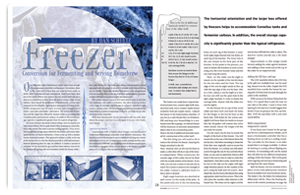 Slower metabolic processes prevent quick yeast reproduction from taking up your slack. 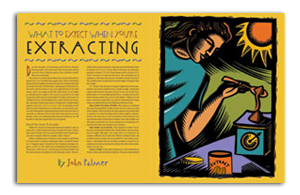 Practical experience bears out that lagers turn out best when hit with more than twice the yeast required for ales. 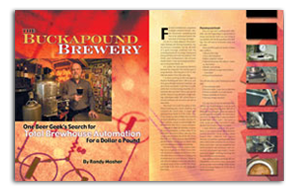 Many of us in the American craft brewing industry arrived at the professional ranks via the homebrew route. 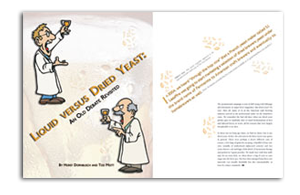 We remember the bad old days when our dried yeast pitches gave us randomly slow or stuck fermentations at best and infected brews at worst, all for reasons that were largely inexplicable to us then. You might have heard your fellow brewers talking about starters and how important they are for making great beer. 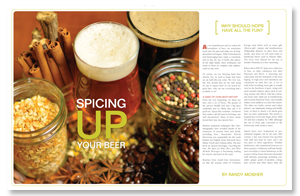 Proper fermentation is what sets apart great beers from just OK beers, and starters can help by ensuring a beer with the correct appearance, flavor, body and aroma profile. The resulting beer is also clean, complete, consistent and reproducible.